The Greeks were the first to use rational systems of medicine, based upon belief in natural causation, rather than magical and religious elements, which resulted in a new conception of disease, accounting for causes and symptoms of illness. 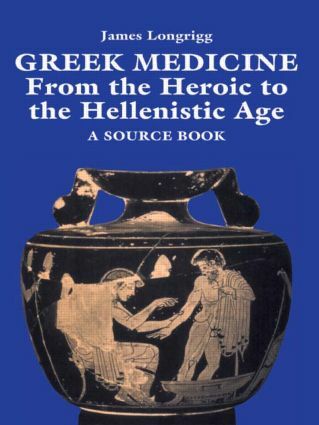 "Greek Medicine" places ancient Greek medicine, from Homer to the Alexandrians, within its historical and intellectual context by presenting a selection of source material in translation. The book provides a chronological account on the most important aspects of ancient medicine, and includes chapters on specific areas of medicine, such as gynecology, dietetics, pharmacology and surgery. James Longrigg is Reader in Ancient Philosophy and Science at the University of Newcastle upon Tyne. He is author of Greek Rational Medicine (Routledge 1993).